The church is located near the Central Square MBTA station on the Red Line. Exit the station and walk two blocks north, toward the post office and City Hall. Saint Peter’s is at the corner of Seller’s Street and Massachusetts Avenue. 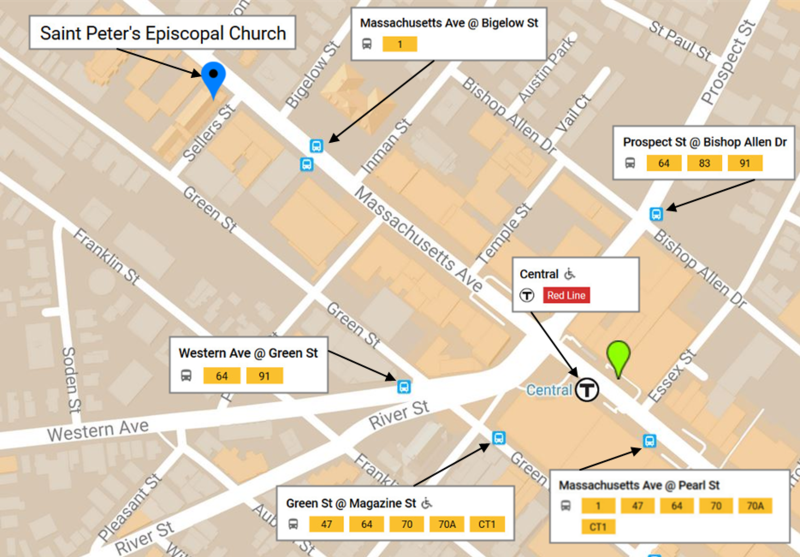 The map shows the locations of the Central Square Red Line station and the locations of bus stops near to the church.